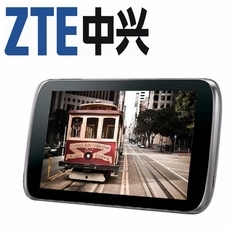 When it comes to protecting your ZTE Tablet using a quality product is sometimes not enough. Sometimes you also need a service that will go above and beyond to meet your needs. Tablet screen and skin protectors are made from a high quality protective film that is engineered to help keep your ZTE Tablet protected against everyday wear damage that can build up overtime eventually causing your device to not function properly. IQ Shield protectors feature all of the necessary openings that will allow your tablet to remain fully operational. Our screen protectors and full body protectors feature a protective UV layer that prevents your protector from ever yellowing allowing it to keep its crystal clear properties. Each IQ Shield ZTE Tablet protector pack will come with a set of instructions, a protector (skin or screen), an installation squeegee, and a microfiber cleaning cloth. Should you ever need to remove the protector you can do so with peace of mind that the protector will not leave any marks or residue on your tablet.